Manchester United have seen four players reach double figures in a single Premier League season for the only the second time in the division's 27-year history after Marcus Rashford and Anthony Martial both netted their 10th league goals of 2018/19 against Watford on Saturday. The last time it happened was way back in 1995/96, a time when Rashford wasn't even born and Martial was just a six month old baby. 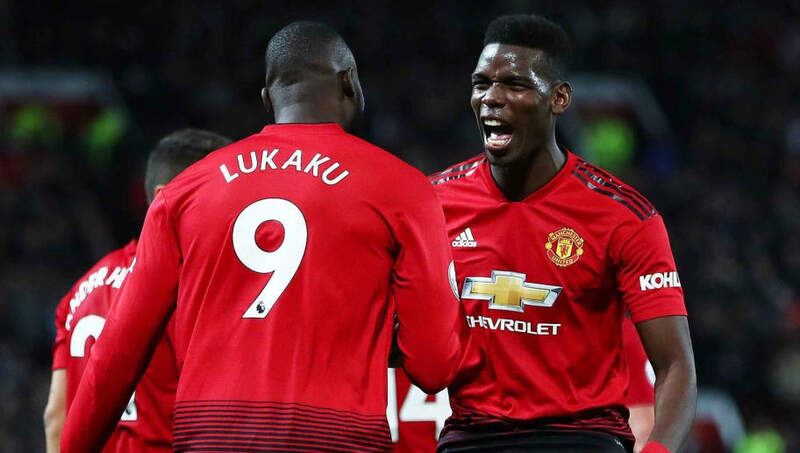 Romelu Lukaku (12) and Paul Pogba (11) had already reached the double figures milestone for 2018/19, making this the first time in 23 years the team has had four players hit the mark. Back then, it was Eric Cantona (14), Andrew Cole and Ryan Giggs (both 11) and Paul Scholes (10), the latter thriving after Alex Ferguson put faith in youth, who got the goals. In recent seasons, United have only had one player manage double figures in the Premier League - Lukaku in 2017/18, Zlatan Ibrahimovic in 2016/17 and Martial in 2015/16 - with much criticism over a lack of attacking intent from supporters and journalists used to seeing goals. Current manager Ole Gunnar Solskjaer is obviously pleased to have so many goal threats capable of finding the net, rather than an over reliance on a particular player or pair of players. "To have more sources of goals, that gives the opposition a different challenge. They know goals could come from different angles and we still have a few more that can challenge and should get to double figures really," he at a press conference said this week. Yet the Norwegian was actually a somewhat surprised to discover that he wasn't part of the last United quartet to manage it given the stable of strikers he was in during the late 1990s and early 2000s alongside Dwight Yorke, Andrew Cole and Teddy Sheringham. "I'm surprised that it's so long ago because I thought maybe me and Teddy, Coley and Yorkie had more than that," he said. All four did score double figures in the Premier League for United, but never in the same season. During the 1998/99 treble campaign, for example, which was their first together, Yorke (18), Cole (17) and Solskjaer (12), all got more than 10, but Sheringham only managed two. And when Sheringham got 15 Premier League goals in 2000/01, Yorke and Cole only got nine each. In fact, during their three seasons together, Solskjaer was the only one to score double figures in the Premier League each time, highlighting his consistency and reliability. United have had great goalscorers at various times - Yorke became the first United player to 20 Premier League goals in a season, Ruud van Nistelrooy was the first to 25, Cristiano Ronaldo was the first to 30, while Wayne Rooney was the first to score 25 twice. But not for a generation has the club had four players who can all reach that 10-goal milestone. Now they have and it offers incredible potential for the next few years as this new squad grows.